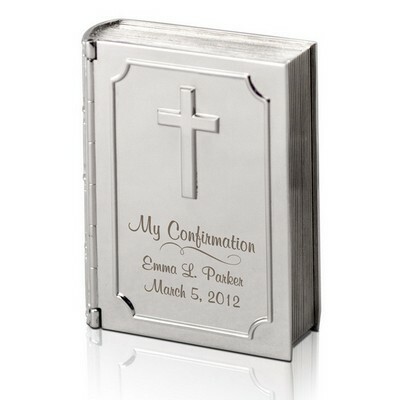 A child's first communion is an important step in their Christian path, and this silver first communion keepsake box is a wonderful way to cherish the memory of that special day. 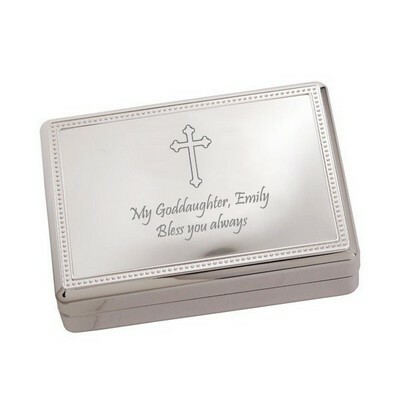 These silver plated boxes can be customized with the child's name and first communion date, along with the phrase "My First Communion," for truly personalized communion gifts. 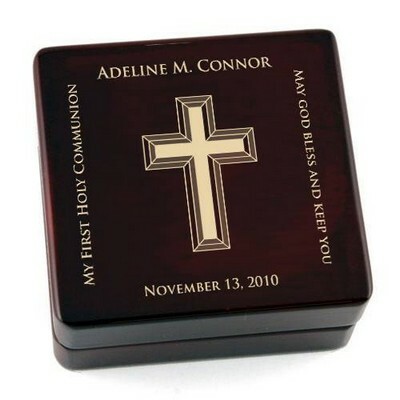 Each keepsake measures 3 1/8" in diameter and 1 1/8" in depth and come with a velvet lining and a cross on the box lid. 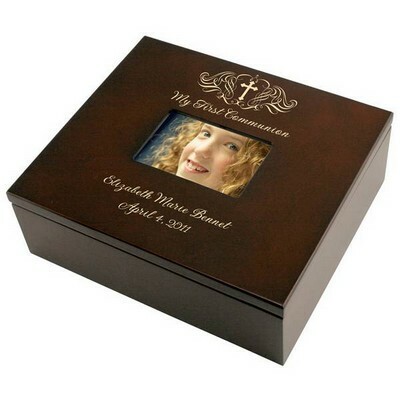 Comments: I purchased the first communion keepsake box for my great niece, I also previously purchased a keepsake box for her brothers confirmation. They were both beautiful and wonderful mementos of their special occasions. 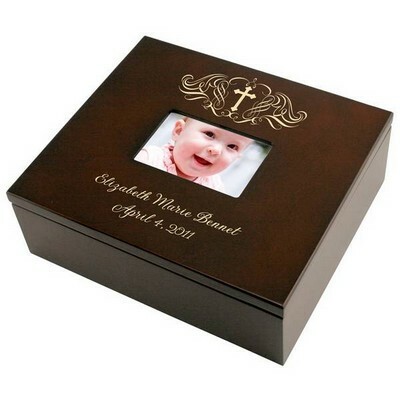 Comments: This is the second time I purchased the Keepsake Box for my granddaughters' First Communions. 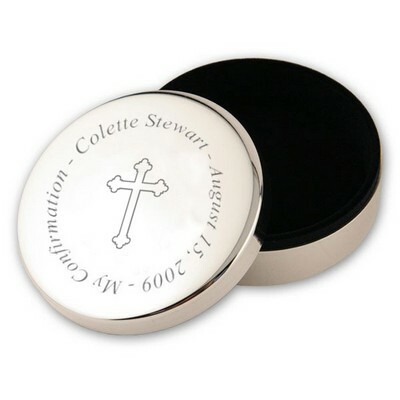 It is beautiful and perfect to include a necklace or rosary. 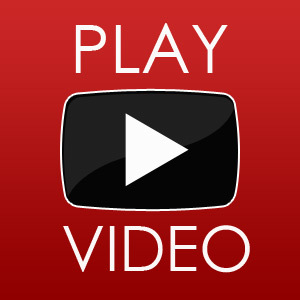 The quality is excellent and wouldn't hesitate to buy a gift from Memorable Gifts again. 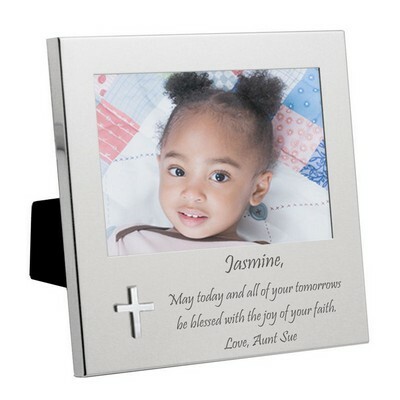 Comments: I ordered this for my granddaughter and I am very pleased with the quality of the engraving and the product. 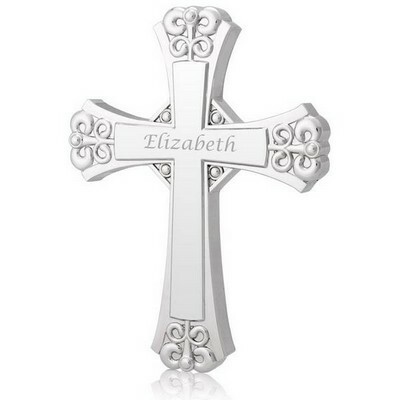 I think she will love it and it is a nice keepsake of her first communion, that she will always have. It arrived fast and I am very pleased with my purchase. I would definitely recommend this product to anyone who needs a nice gift. 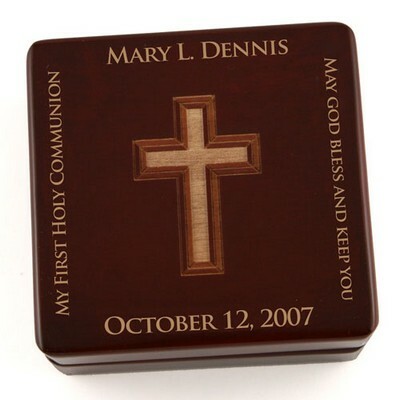 Comments: This was the perfect keepsake box for my rosary that I gave to my granddaughter for her First Communion. 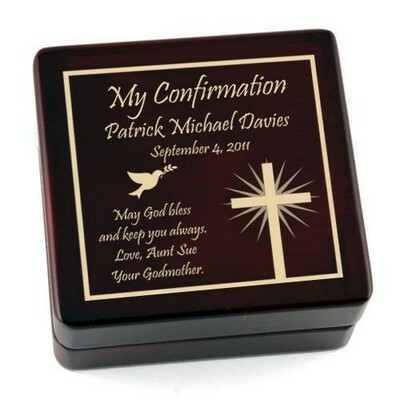 Since engraving was included, the price was very reasonable even with tax and shipping charges. Comments: My granddaughter seemed to be very pleased with this item. It is a nice keepsake for an important passage in life.